I have a friend expecting her third child in July. When I asked her if she planned to have a nursery theme, she said "colorful Southwest." That's been in the back of my mind as I try to think of a baby quilt idea. 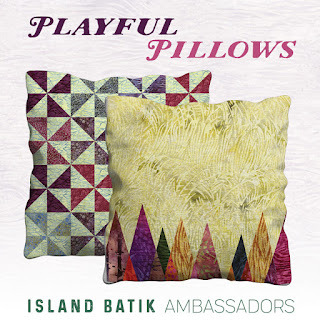 Then this month's Island Batik Ambassador challenge was "pillows." 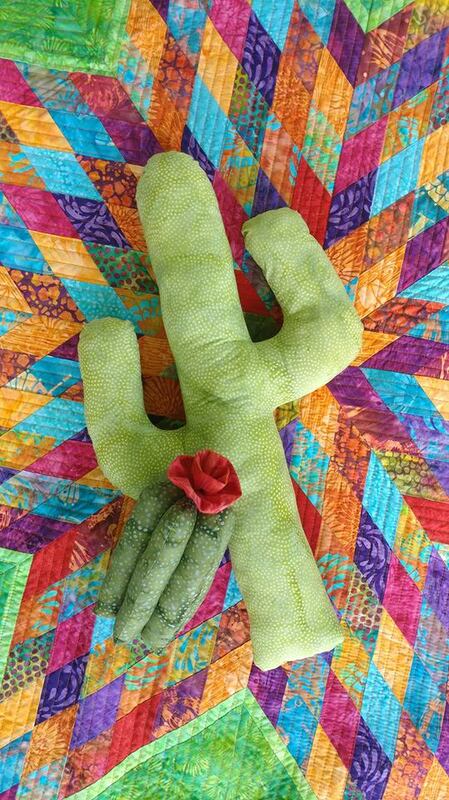 When searching Pinterest for "Southwest inspired nursery," I kept coming across cactus pillows. I knew it would be a fun extra to send with the quilt! 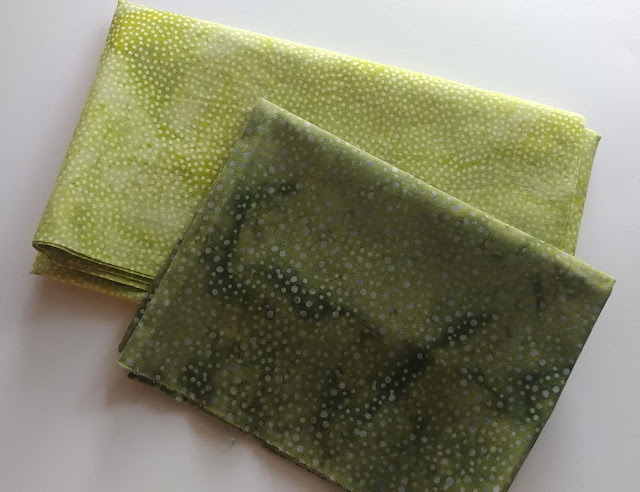 I searched through my Island Batik stash to see what fabrics I had that would work for cacti. I found some great choices! 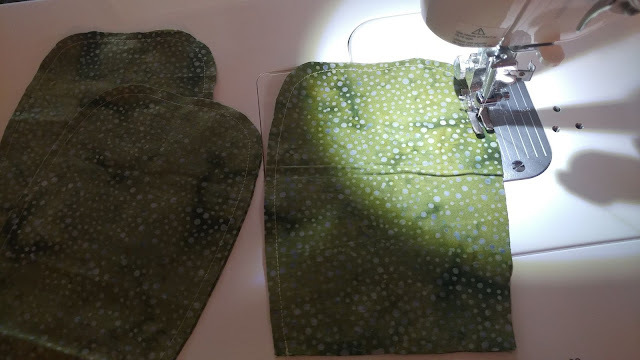 (I think both of these greens are Blenders, but I can't find the exact fabrics on the website.) Since this is my second year as an ambassador, I have a bit of a selection from the fabrics they've sent me! I started with a saguaro cactus. I found an image of a cactus that I liked, and enlarged it on my computer to be 20" tall. It printed on four pages, I taped them together, then cut it out. Next, I folded my fabric right sides together and cut out the cactus shape from two layers. 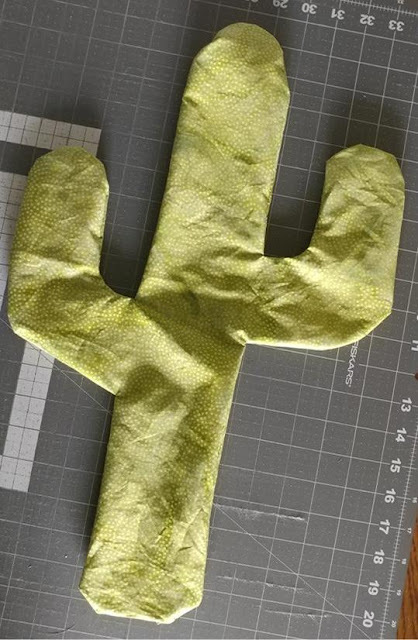 Leaving an opening at the base of the cactus, I stitched all the way around the cactus using 1/4" seam. 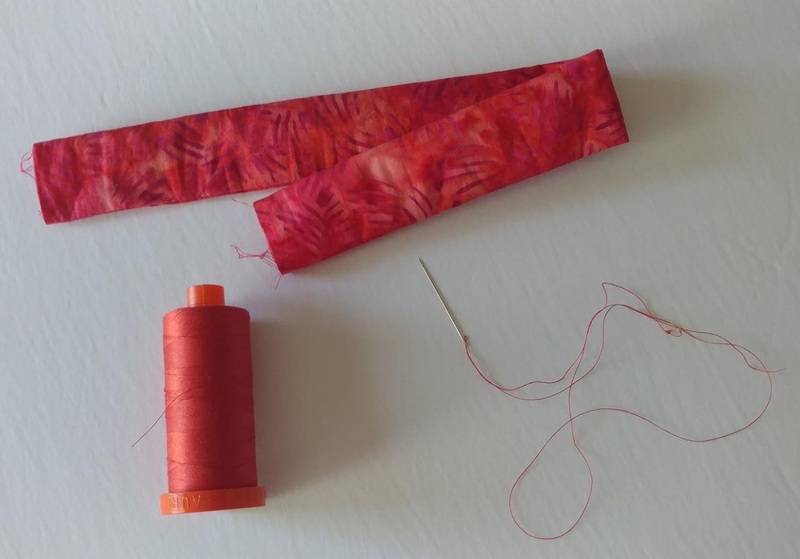 I used Aurifil 50wt thread in #2324 Stone - it's a great neutral thread to use for nearly everything! 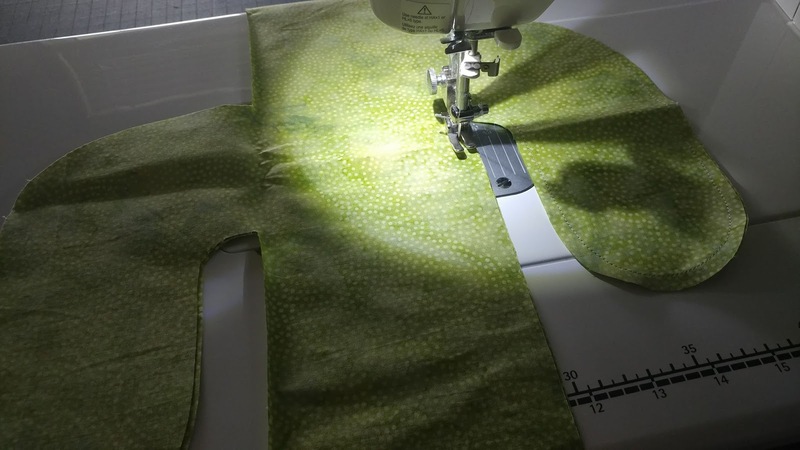 Once sewn, I used scissors to clip the fabric just up to the stitching line on all the inner and outer curves. I also clipped into each corner. Then it was ready to turn inside out and stuff! I used Poly-Fil stuffing and a ruler to fill the cactus. I decided to be fairly firm in the stuffing so the cactus would keep its shape. 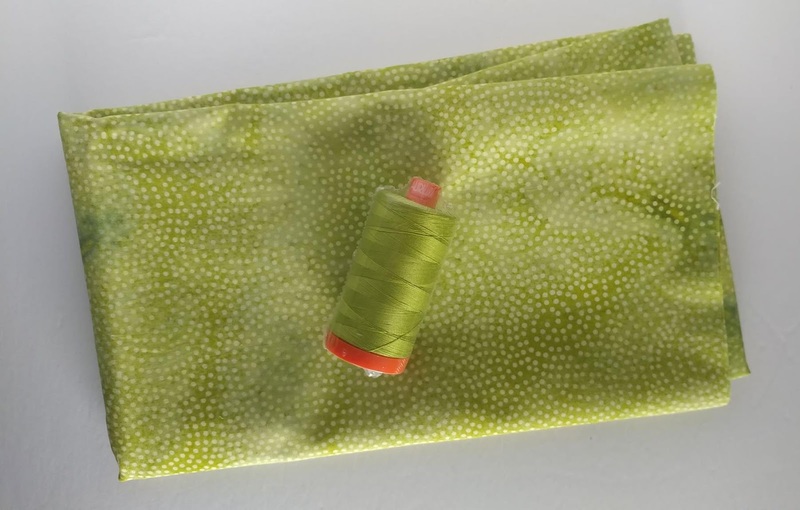 Once filled, I found a matching thread (Aurifil 50wt #1147 Light Leaf Green) to use for hand stitching the opening closed. 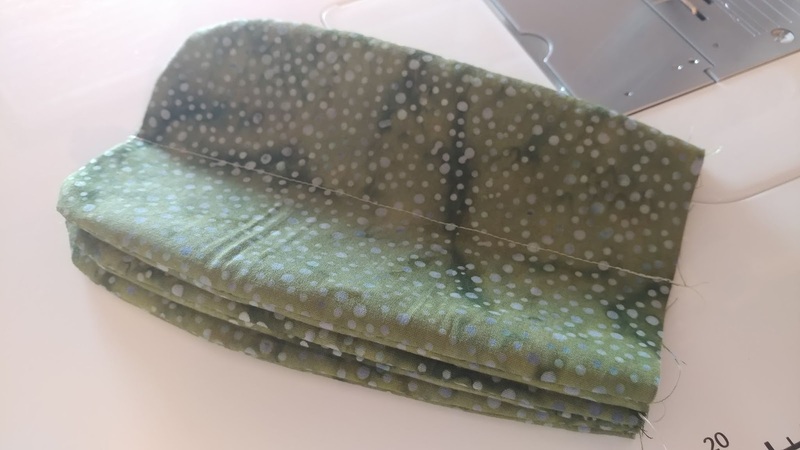 I started by folding my fabric into six layers. This determined what size cactus I could make! 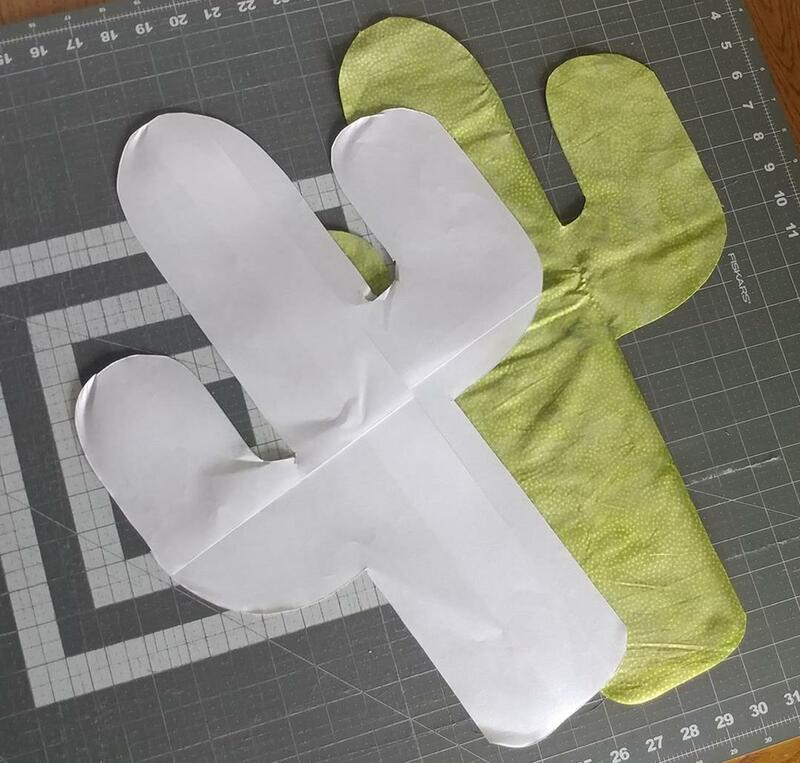 Then I cut the cactus shape through all layers so they would all be the same. 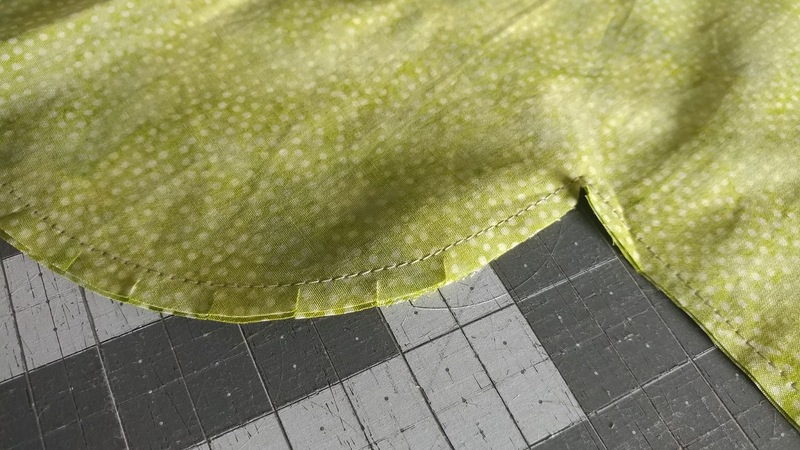 Next, I stitched layers of two together, leaving the flat bottom open. After turning right sides out, I laid all three pieces on top of each other, and sewed a straight line down the middle through all three. Next up was the cactus bloom. Instead of being pure in the interpretation of San Pedro cactus (which has a white flower), I wanted to be colorful so opted for red. 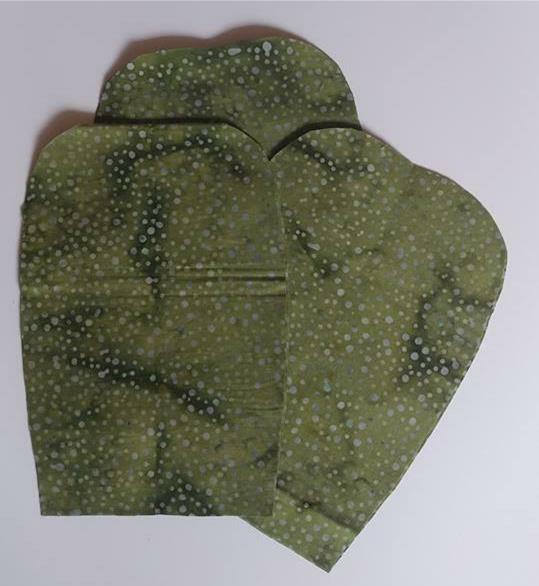 I used this bright Island Batik fabric. 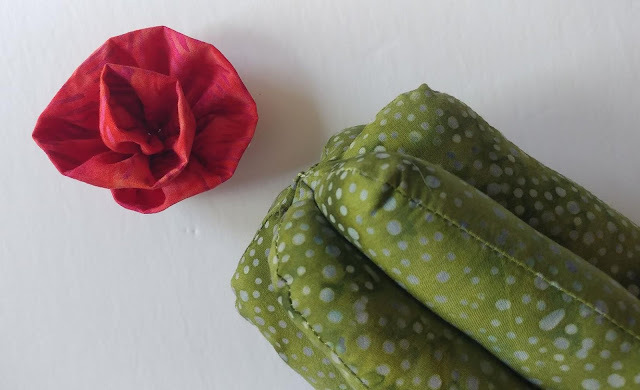 I found a great tutorial for making a fabric flower that I liked on Pinterest here, so based my flower on that. I started with a 3" x 13" strip of fabric, then sewed it into a tube and turned it right side out. 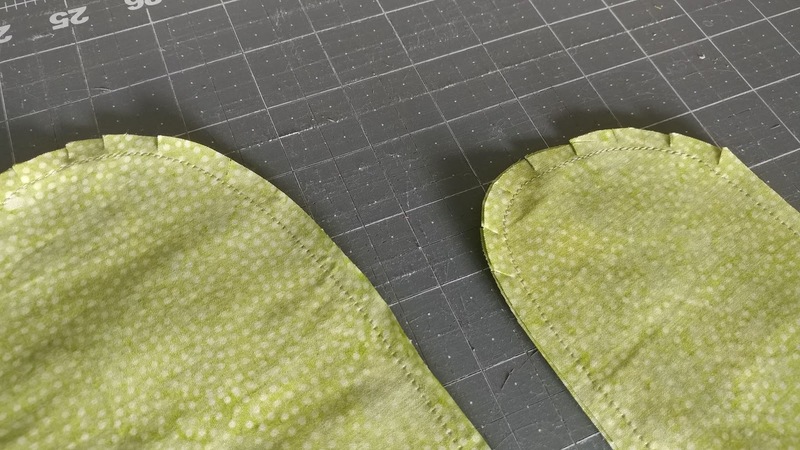 I used the seam as the bottom of the strip. 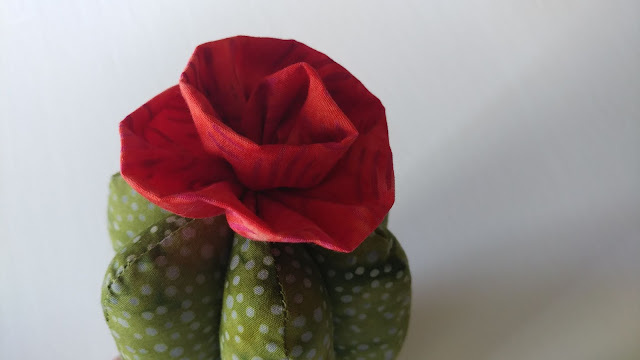 I used 50wt Aurifil #2255 Dark Red Orange to hand sew the flower. Then used the same thread to secure it to the top of the cactus. 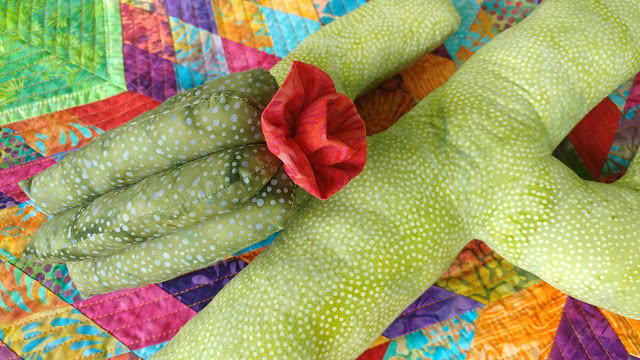 I think the batiks were the perfect fabric for these cacti! Speaking of non-traditional, I'm not sure these cacti count as pillows. But Pinterest calls them pillows, so I'm going with it! 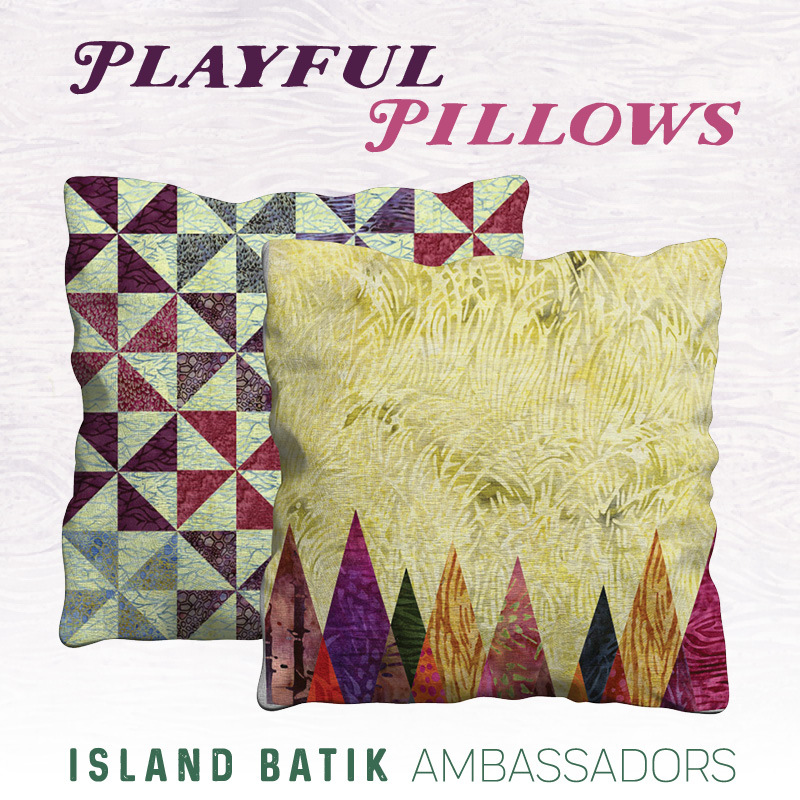 Be sure to check out the Island Batik Facebook page to see some of the other pillows the ambassadors made this month! Linking up with Needle & Thread Thursday at My Quilt Infatuation, Finished or Not Friday at Busy Hands Quilts, TGIFF at Anja Quilts, Friday Foto Fun at Powered by Quilting, Can I Get a Whoop Whoop at Confessions of a Fabric Addict, and Finish It Up Friday at Crazy Mom Quilts. 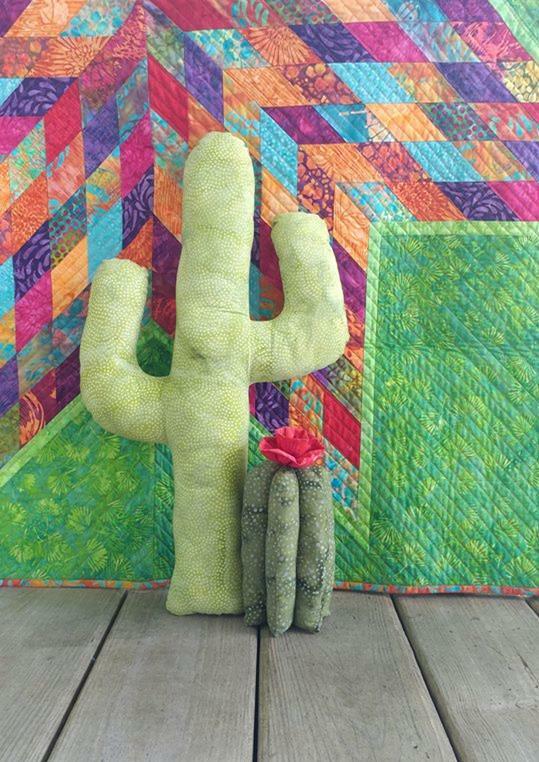 I think that quilt is perfect for colorful Southwest as a theme, and what fun cacti pillows! Those pillows are so much fun! 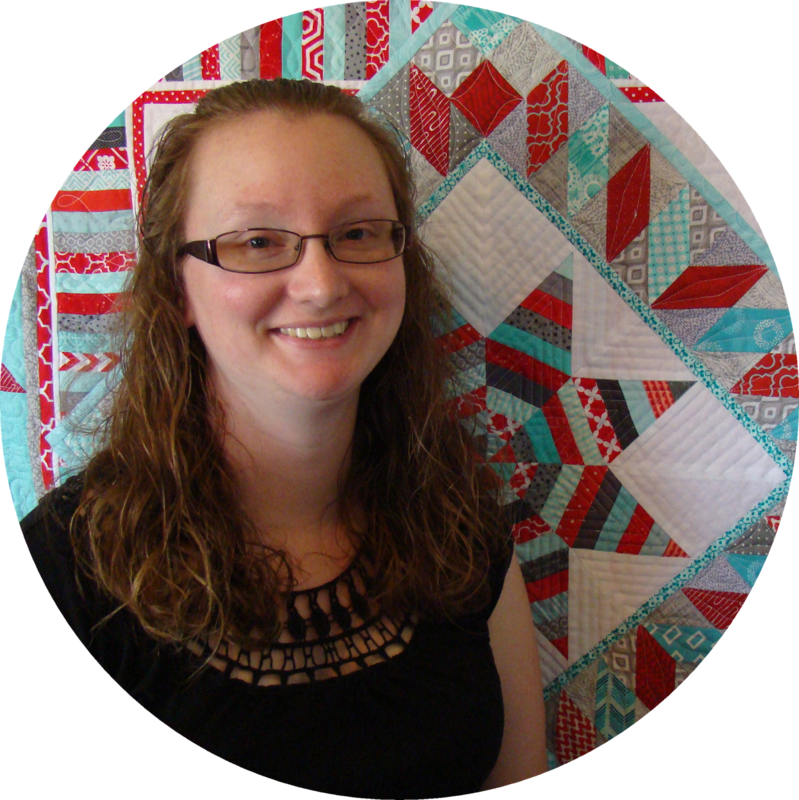 I love that you had a quilt that would work with them too. The pillows are a really fun idea for a baby gift! What a great idea for pillows. They go with that quilt really well. I think your friend will be happy with both pillows and quilt. By the way, some years back on a quilt program, the host (name is lost to me) said that if you didn't want to clip seams, you could use pinking shears and trim close to the seam. 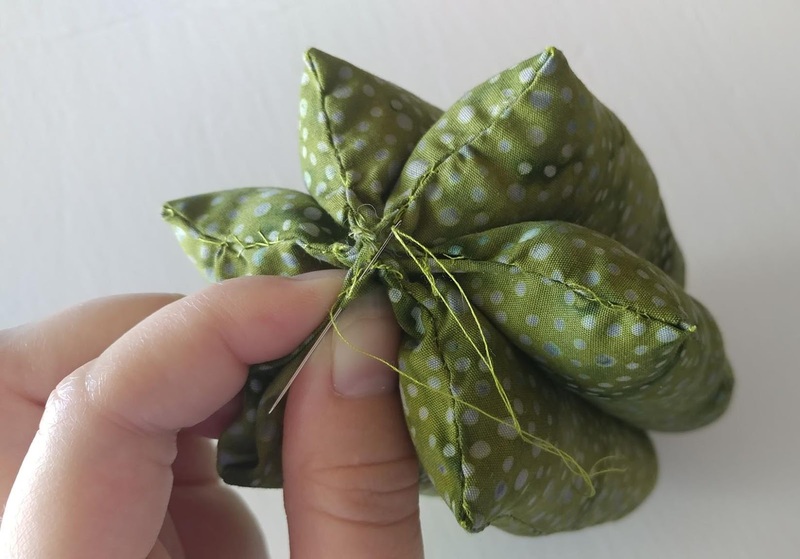 It would allow the seams to curve (In or Out) and would also keep the fabric from raveling. I've used this technique a lot. What a great idea for a Southwest theme! They turned out great! 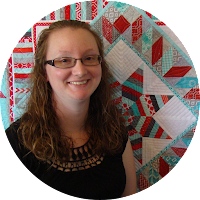 Your quilt piecing is wonderful and the colors are terrific. This is so fun and whimsical. This nursery may be the first that has cactus for cuddling!! Great job on a most creative and customized baby quilt and matching gift. Cutest pillows on earth! She's going to love them for her southwest baby theme room. And yes, that quilt would be perfect, too. Who cares about traditional quilts when you can have a unique customized modern quilt?! Great job, Laura! You had me with the Saguaro! I need to make one of these. I've seen the Saguaro bloom and they are gorgeous. Yes, I have pictures. While the buds are growing they do look a bit strange like they are developing warts or fingers. Cute pillows and love the quilt you did last year! Those pillows are so cute! I love the picture of them on the quilt, how perfect! Very different, goes with the quilt nicely. these are wonderful pillows for the SouthWestern theme and they certainly are playful. The quilt is absolutely gorgeous and I think you friends will be delighted with it. These are so cute! I need to make some for a friend. I love your lone star as a "colorful southwest" baby quilt! In fact, I'm not sure you could do better if you planned it! The cacti pillows are amazing and I think they absolutely count as pillows. Super fun pillows! This is so cute and so very brilliant! I love it! I think the quilt works. 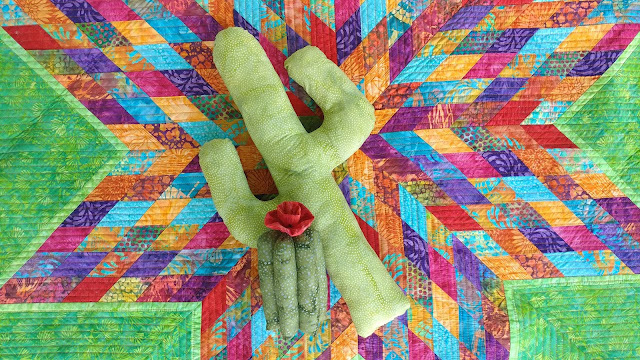 And those cacti pillows are amazing. Well done. Thanks for linking up with TGIFF. You perfectly captured a colorful Southwest theme! I love your cacti 🌵🌵in bloom too! The nursery will make baby so happy and cheerful!